Murder by chocolate? That’s the premise Nero Wolfe must operate from when a beautiful woman is poisoned after indulging in a box of candy. It’s a case that the great detective—no stranger himself to overindulgence—is loath to take for a variety of reasons, including that it may require that he leave his comfortable brownstone. But he and Archie are compelled by a mystery that mixes high fashion and low motives…and a killer who may have made the deadliest mistake. How can you not love the crazy characters in this novel? This story showcases many characters with different personalities and they are all quite in depth. Starting with a trick to get Mr. Wolfe interested, it is impossible not to want to learn more as the story progresses and we learn more about the Frost family. Once again, I saw the characters as they were on the show A Nero Wolfe Mystery, and again I had an inkling what the end result would be– though I had no idea who the murderer was. Wolfe was absolutely genius in this one, and I didn’t see the ending coming. 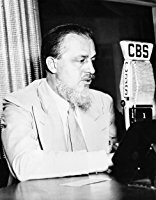 Rex Todhunter Stout (/staʊt/; December 1, 1886 – October 27, 1975) was an American writer noted for his detective fiction, particularly the 33 novels and about 40 novellas that featured the detective Nero Wolfe and his assistant Archie Goodwin between 1934 and 1975. In 1959, Stout received the Mystery Writers of America’s Grand Master Award. 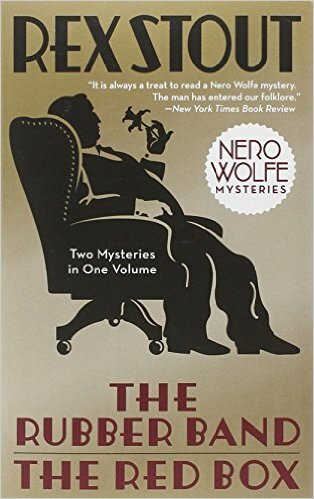 The Nero Wolfe corpus was nominated Best Mystery Series of the Century at Bouchercon XXXI, the world’s largest mystery convention, and Rex Stout was nominated Best Mystery Writer of the Century. In addition to writing fiction, Stout was a prominent public intellectual for decades. Stout was active in the early years of the American Civil Liberties Union and a founder of the Vanguard Press. He served as head of the Writers’ War Board during World War II, became a radio celebrity through his numerous broadcasts, and was later active in promoting world federalism. He was the long-time president of the Authors Guild, during which he sought to benefit authors by lobbying for reform of the domestic and international copyright laws,[specify] and served a term as president of the Mystery Writers of America.